Twix just announced back to back day and night parties for SXSW 2018, pairing with Culture Collide as part of this year’s Collide on Rainey. 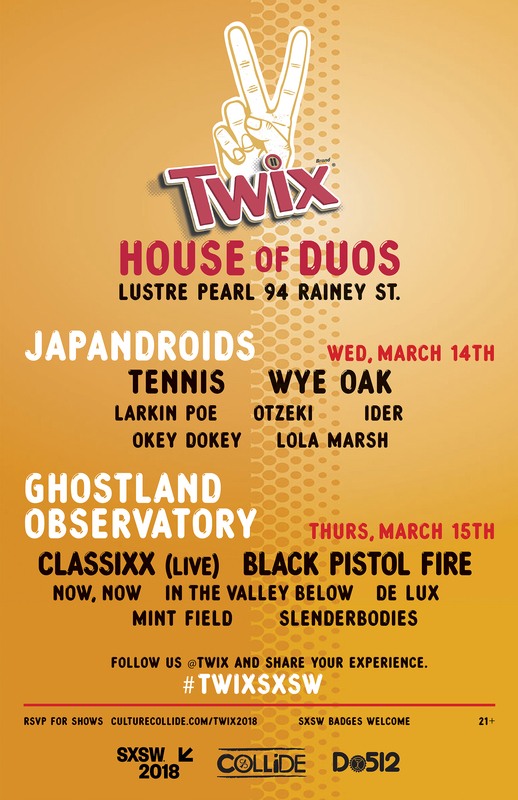 The Twix parties play on the brand’s theme of duos, featuring popular duo bands from around the world like Colorado husband and wife Tennis, Austin natives Ghostland Observatory, indie folk’s Wye Oak, Black Pistol Fire, Japandroids, De Lux, and many more! Day parties are free with RSVP, but night show entry is not guaranteed – read on for full event details and the link to RSVP! The event is 21+, so if you’re of age head over to Culture Collide’s site to RSVP. 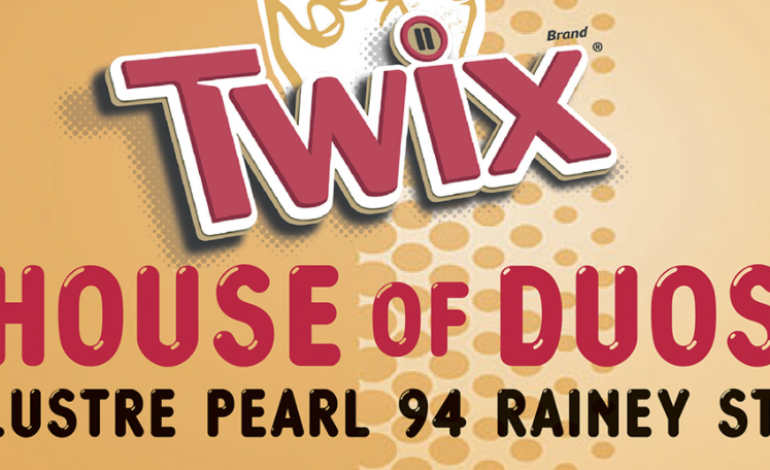 Even if you can’t make it to the show, be on the lookout for Twix around Austin to grab some free cold brew and Twix – essential for surviving the SXSW week! Remember the RSVP is for the day shows only, night shows may require official SXSW credentials. The day shows run from 2-7pm each day with shows on the hour. Wednesday’s lineup includes Lola Marsh, Okey Dokey, IDER, Otzeki, and Larkin Poe, in that order. If you’re lucky enough to attend Wednesday night you’ll catch Wye Oak, Tennis, and Japandroids from 9pm to midnight. Thursday’s 2-7pm day shows feature Slenderbodies, Mint Field, De Lux, In The Valley Below, and Now, Now. The night lineup from 9pm to midnight keeps the energy up with Black Pistol Fire, electro party kids Classixx (live), and Austin psych-funk favorites Ghostland Observatory!